Join us for two fun events! Join us for this Family Friendly event with a light breakfast, music, face-painting, yard games, vendor and resource fair. Every walker gets a hat! We will also have gift-giveaway drawings throughout the walk. You don’t want to miss it! Tickets include a tailgate at the Mental Wellness Tent with free food, drinks, and Dot’s Pretzels and a baseball cap. There will also be speakers, fun youth activities and a chance to win Royals items. Bring your family and friends to help us support our mission to end stigma and support those affected by a mental illness and their loved ones. 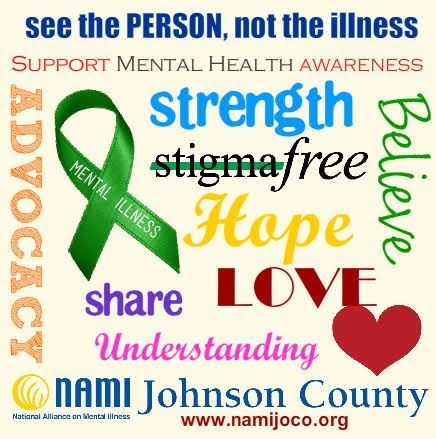 NAMI Family-to-Family is a free, 12-session educational program for family, significant others and friends of people living with mental illness. Family-to-Family not only provides critical information and strategies for taking care of the person you love, but you'll also find out that you're not alone. Recovery is a journey, and there is hope. We are a community that supports people with mental illness and their loved ones.